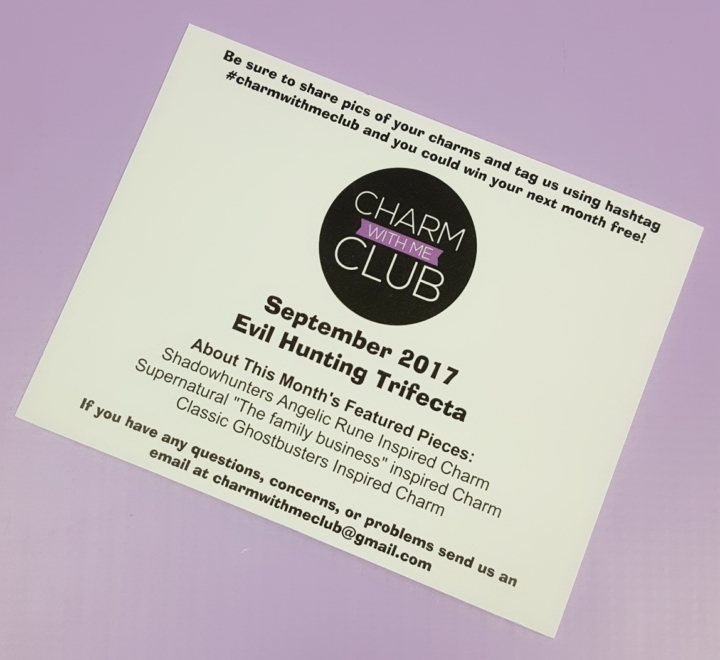 This month’s theme is the Evil Hunting Trifecta! I was hooked on this one as soon as I saw the spoilers. I could not wait to see what they included. 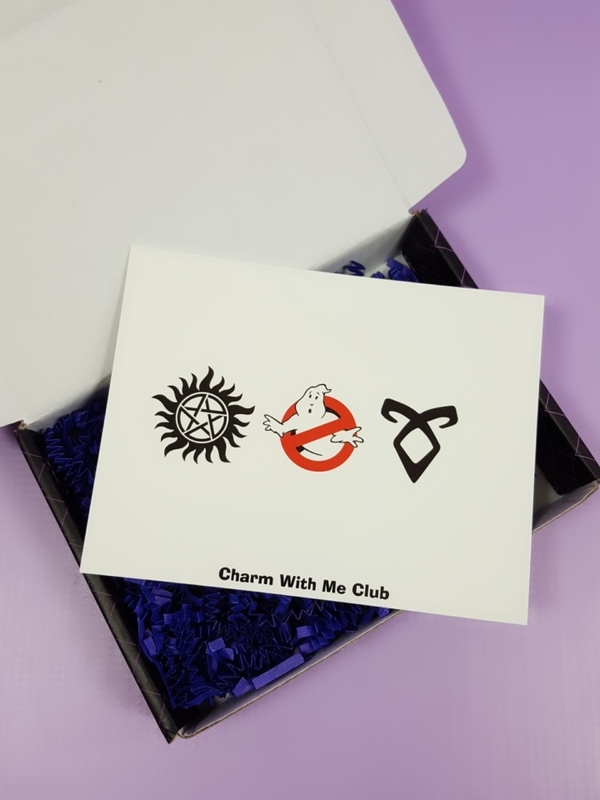 This month we got a set of 3 original metal charms. Each month, the charms come in little sealed bags with a velvet bag to store them in. I don’t use the bags but I store them in a container that I have shared with you a couple months ago. I could not be more excited for the theme this month and knowing that they included one of my all time favorite shows. 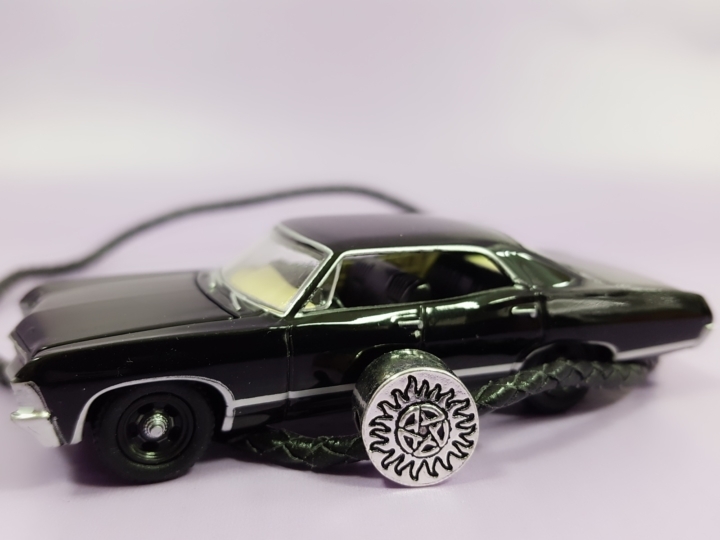 I have loved Supernatural from the beginning and have even gone to a couple of the fan conventions. Yes, I am that girl and they have one next year only a couple hours from my so I’m thinking I may need to make another stop in. I can’t get enough of my boys. 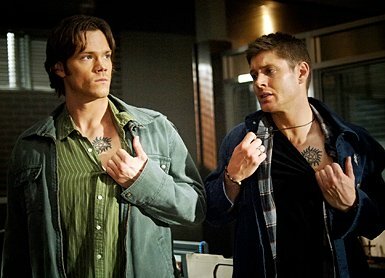 This is the anti-possession tattoo that both Sam and Dean have on their chests. These are there so that they can not be possessed by a demon. At the beginning of the show they wore charms and then got the tattoos so that they could not be removed. Next up is the classic Ghostbusters image. I’ve actually not seen the new version but I do love the originals and this is such an iconic design. 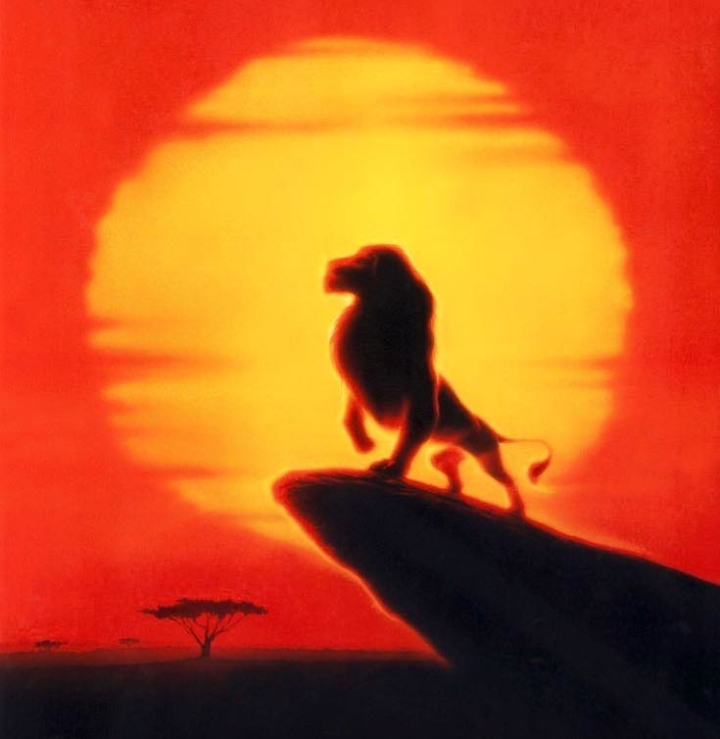 Everyone will know what it is when they see it. 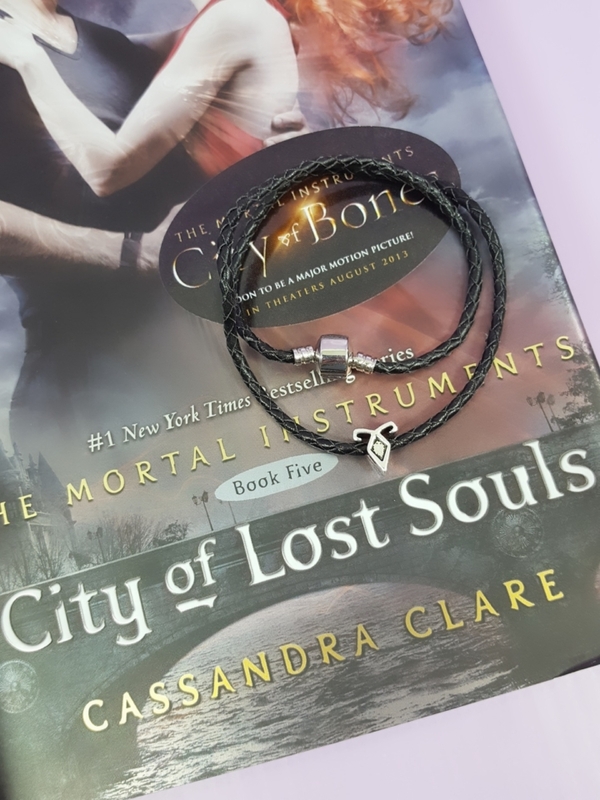 The third charm this month is the Angelic Rune from Shadowhunters. I am obsessed with this tv show. 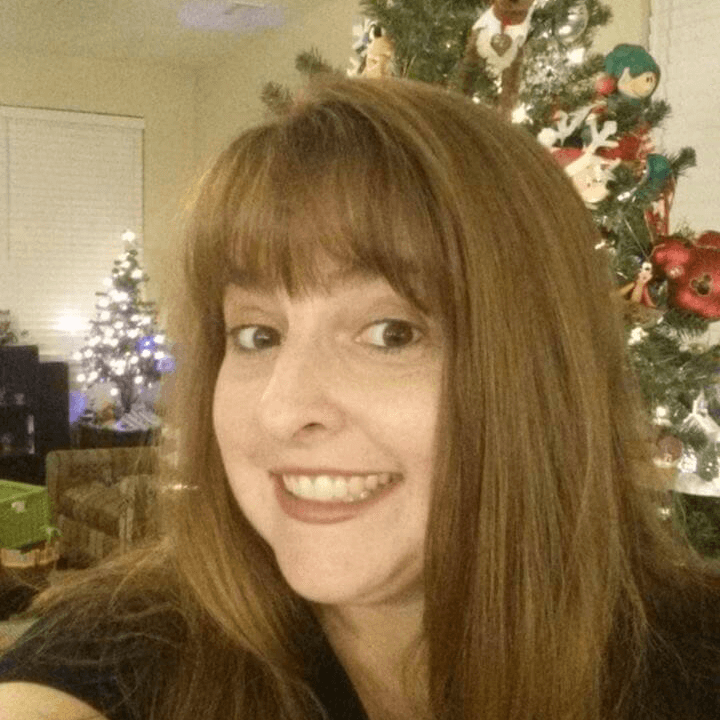 I actually have not read the books but my hubby has and he really enjoyed them. We have them here so I might need to try them out since I do love the show. 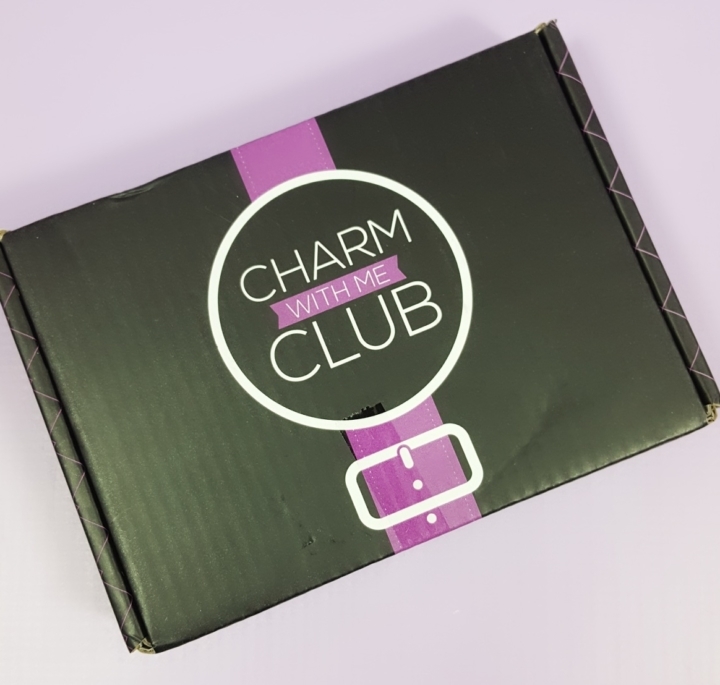 I’m obsessed with this month’s Charm With Me Club box. The theme was Evil Hunting Trifecta and it truly lived up to the theme. The three shows and movies represented are all the quintessential hunters and I could not think of better ones. 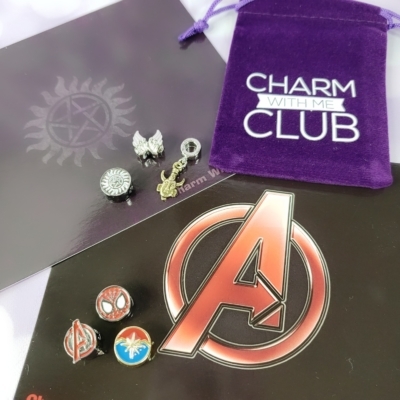 The charms are all a heavy metal weight and hang so great on my bracelet. 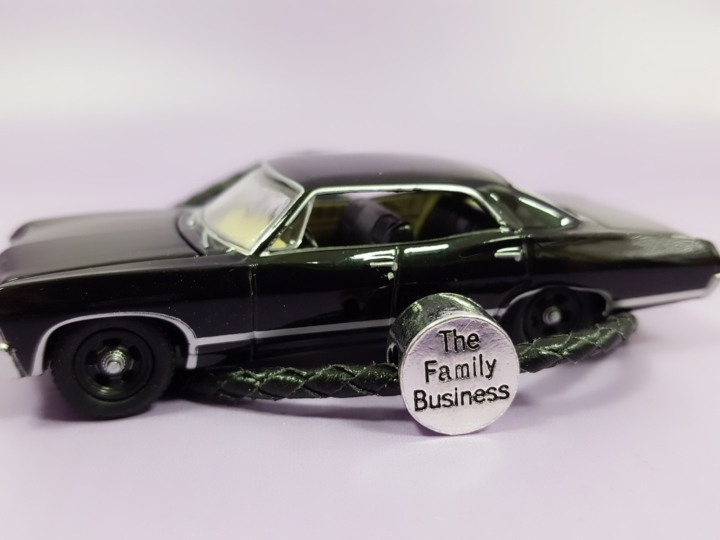 The Supernatural one will be on my bracelets most of the time. I love that I can wear it and support my love wherever I go now and I’ll be guarded from possession which is also another plus. 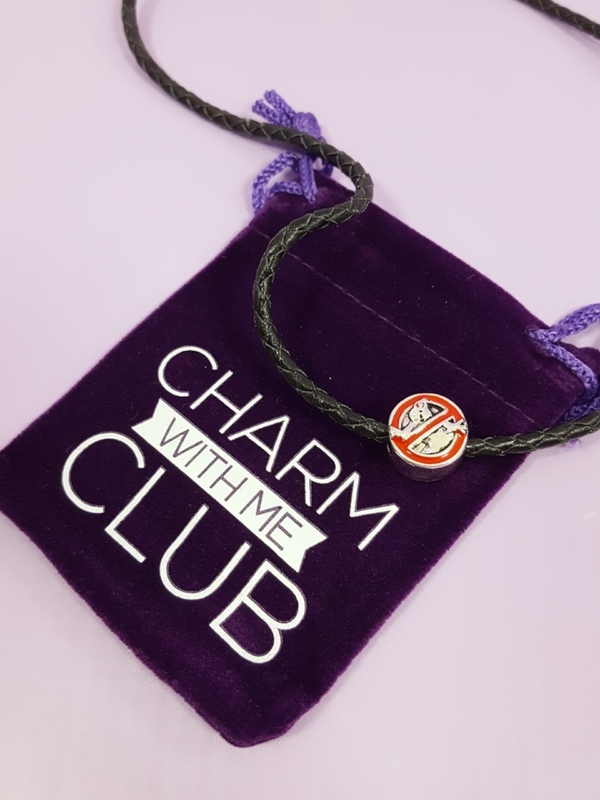 The theme for October is “The Lion King” Charm with me Club does awesome Disney inspired boxes and I can’t wait to see what is included in this one. 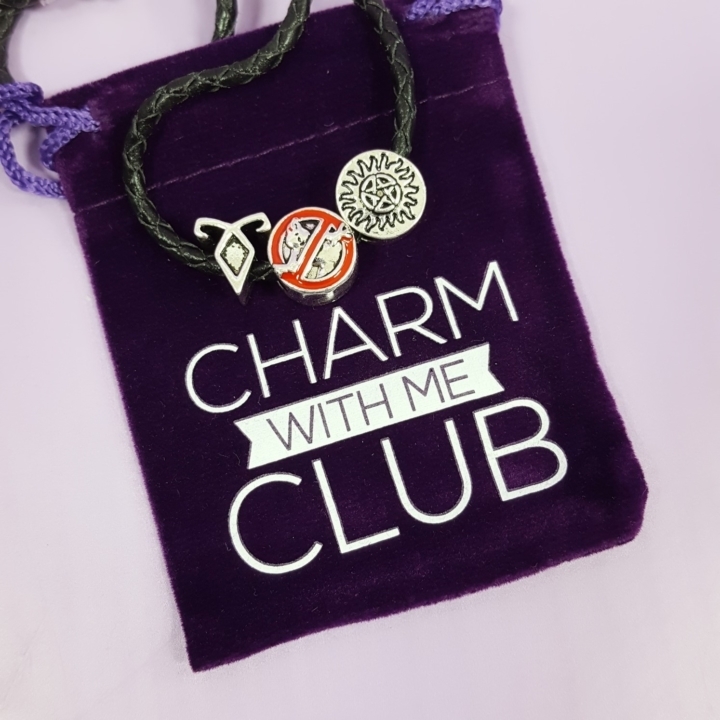 What did you think of the Charm With Me Club charms this month? 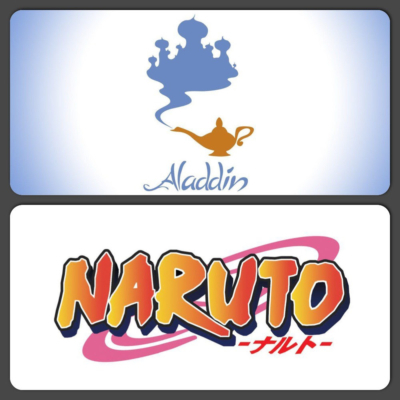 Are you a fan of the shows?